Natasha’s funeral service takes place at 1.30pm this afternoon (Wednesday) at Rossorry Parish Church. TRIBUTES have been paid to the young mother-of-one killed in a horrific crash near Derrylin at the weekend. 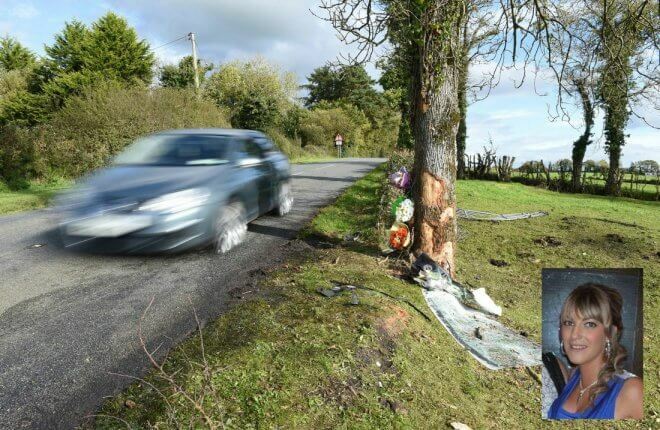 Natasha Carruthers (23), from Letterbreen, was the front passenger in a blue Vauxhall Corsa, accompanied by two friends, which hit a tree on the main Derrylin to Lisnaskea road shortly before midnight on Saturday. She died at the scene of the one vehicle crash, about one mile from Derrylin, in the townland of Leginn. The 21-year-old male driver of the car was seriously injured and underwent surgery at the Royal Victoria Hospital in Belfast on Monday while the female back seat passenger, also in her 20s, was also being treated in hospital for serious injuries. Natasha is survived by her one-year-old daughter Lily-Rose, parents Jill and Mervyn and sister Julie. Family members have paid tribute to her this week, remembering her as “a beautiful angel”. Her cousin Diane Doogan said: “Natasha was a real animal lover, had a lot of dogs and volunteered at Bright Eyes Animal Sanctuary. She was very unique, outgoing and someone who was always there for her family. Natasha was a past pupil of Devenish College and principal Simon Mowbray told the Herald that the school community was “devastated” to hear of her very sad passing. “Natasha attended Devenish College between 2005 and 2010. She was a very popular and spirited pupil who was very well liked by her teachers and peers. It is always so tragic when someone so young loses their life in such heart-breaking circumstances,” he said. Natasha’s funeral service takes place at 1.30pm this afternoon (Wednesday) at Rossorry Parish Church, Enniskillen followed by burial at the adjoining churchyard. Canon Ian Ellis, Rector of Rossorry Parish, said Natasha’s family had been left “totally stunned by the terrible news that she lost her life in a tragic road traffic accident”.